Babalu has audio posted of the Chavez-Castro meeting today. The first photos in six months of Fidel Castro were released by the regime today. 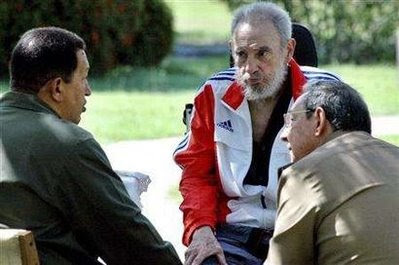 UPDATE: This looks like the same sweatsuit Castro was wearing in June 2007 during one of his last appearances.